Healthcare organizations and providers use the Formotus service to replace paper forms with electronic forms in mobile apps. Mobile healthcare providers such as paramedics and emergency medical technicians use the Formotus service for robust offline form-filling capabilities even when the internet connection is lost. All kinds of clinics and practices use Formotus forms for paperless completion and storage of new patient forms for intake, consent and HIPAA privacy, complete with signatures inked on the screen. Providers’ notes are captured electronically during a visit — including the ability to snap a photo and draw on it. Healthcare organizations and providers of all kinds use the Formotus service to replace paper forms with electronic forms in mobile apps. Every Formotus form is custom, designed to match your specific healthcare requirements. There’s no limit to the kind and number of forms you can use. Here’s an important point when comparing healthcare app solutions: patient information never touches Formotus servers. That’s right, the data travels directly from the device to the storage location you choose. Be aware that some form vendors require you to send patient data to their servers. 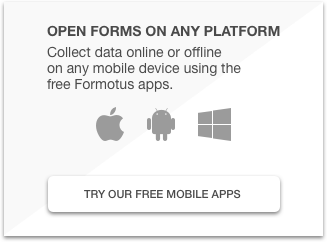 You can experience this form simply by installing the free Formotus app from your favorite store for iOS, Android or Windows. 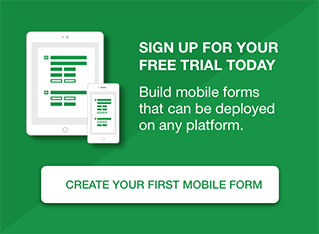 See for yourself how Formotus forms are so dynamic they work like healthcare apps.